Essential Kitchen Speciality Tools and Appliances | Valet. You're not a professional chef, you're just a guy who wants to be able to cook with confidence, right? No matter the occasion—a weeknight meal, a quiet dinner for two or a gathering of friends or family to watch a game or celebrate the holidays—you don't need a kitchen store's worth of crap. And we're guessing you've already got your go-to knife, a cutting board and a skillet. While you're likely stocked on the classics, your kitchen could benefit from a few specialty tools and appliances that are both functional and durable. As with anything in your life, the key to success is preparation. And these will do a lot of the heavy lifting for you. 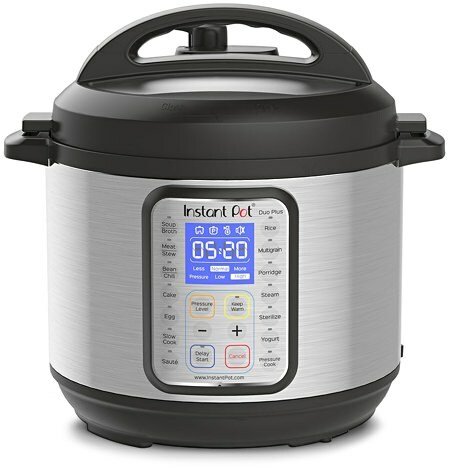 The Instant Pot— a device that combines an electric pressure cooker, slow cooker, rice cooker and yogurt maker—is one of the most popular kitchen appliances on the market today. And here's why people can't stop raving about them: a full pork shoulder is spoon tender and deeply flavored after a mere 90 minutes instead of the standard seven hours in a crock pot. Short ribs, risotto, orange chicken or even cheesecake—it's all as easy as hitting the start button. An old school piece of kitchen equipment and an investment piece, for sure, but one of the most versatile and longest lasting pieces you'll ever buy. These things are heavy, stout and efficient as hell. Goes from stovetop to oven to grill and eventually to the refrigerator. And if you take care of it, it'll last for life. 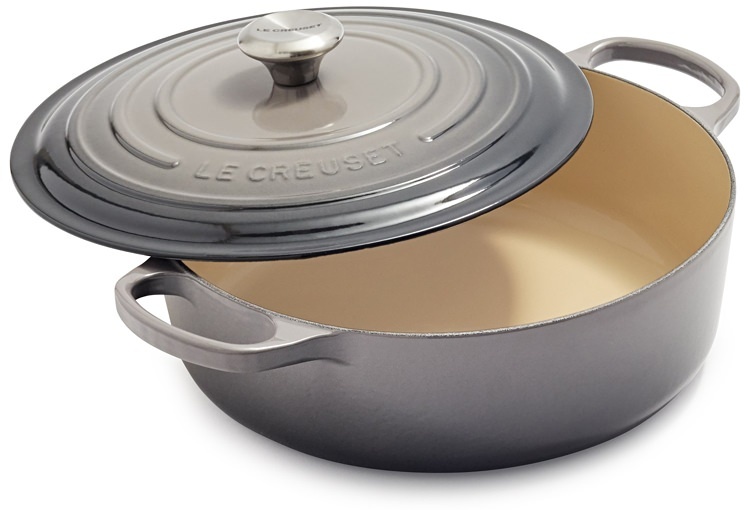 So if you want to save some money, look for a well cared for secondhand dutch oven. Don't call it a cookie sheet. And don't mess with the dark, non-stick surfaces or airbake technology. 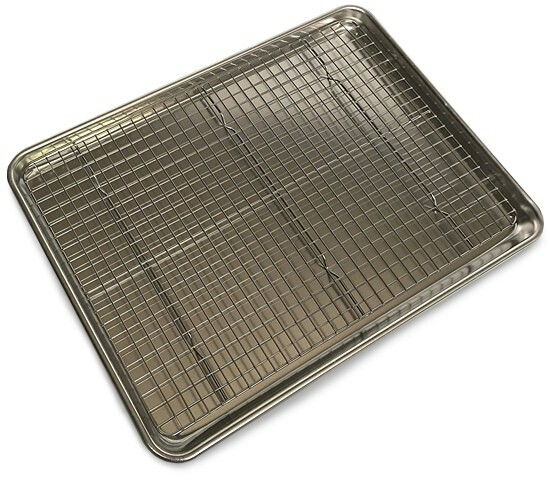 Get a no-nonsense restaurant style half-sheet pan with a removable rack. Chefs use these for everything and so should you. Roast vegetables, bake fish or use it to marinate or rest a piece of meat. And sure, you can use it to make cookies too. 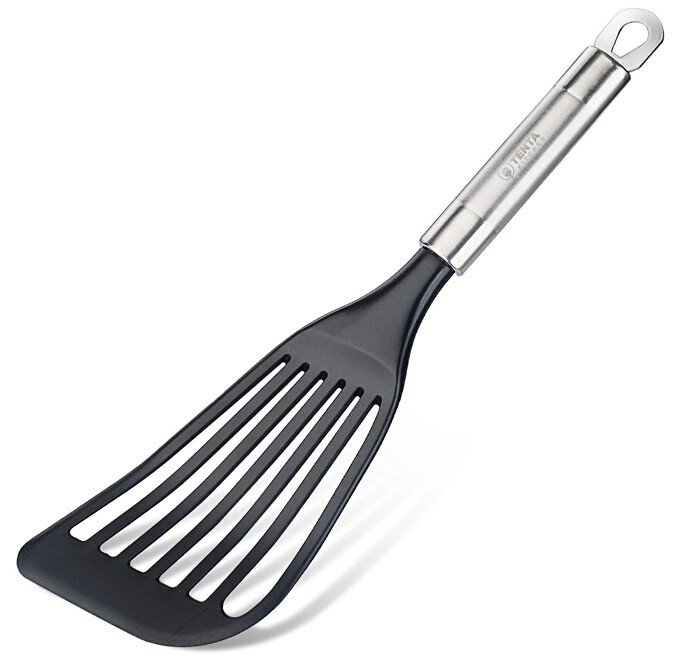 Designed to preserve the flaky flesh of seafood, this light, flexible fish spatula is also great for roasted vegetables, pancakes or grilled cheese sandwiches. Not to mention scraping up those delicious caramelized bits to deglaze a pan and make a proper sauce. Not the sexiest piece of equipment, but if you don't like getting tiny burns from the hot oil spitting up from the skillet, or cleaning up the wide splatter field on your stovetop from around a pan, you need one of these lightweight screens. This one is better than most because it features an innovative carbon fabric mesh between the screens that instantly absorbs cooking aromas (so your place won't smell like bacon or fish hours after cooking). 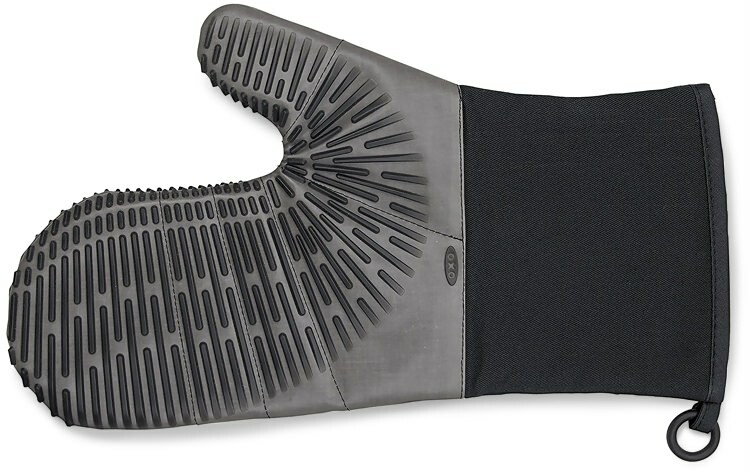 Unlike most cumbersome and unwieldy kitchen mitts, this modern design comfortably fits your hand and allows for flexible movement with a secure gripping surface on the palm. Worried about storage? The mitt comes with an attached magnet to stick it on the side of the fridge or a simple hook loop for easy hanging. Get the bold flavors you love from direct heat grilling without the smoke or mess with this handy countertop appliance. Open it flat for twice the grilling or griddle space, float above steak or bread for a broiler effect, or press down to get delicious grill marks on both sides of your burger or panini. 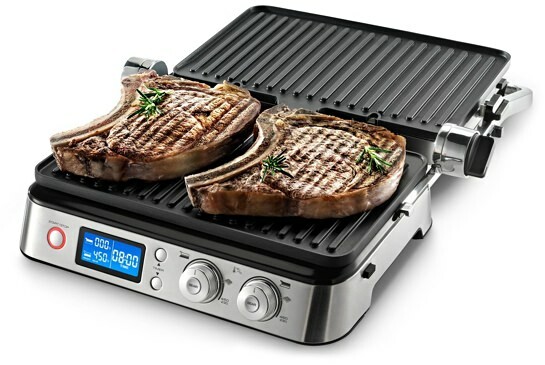 It comes with three sets of plates that transform it from a grill to griddle or waffle iron, allowing you to make everything from waffles and pancakes to grilled veggies to burgers, steaks and sandwiches. You want quality coffee, but you don't want all the steps and time it takes, right? Save yourself time and effort with this fully programmable coffee maker that will start by grinding your beans fresh each morning, to your precise grind preference, then filter your water and brew your coffee. 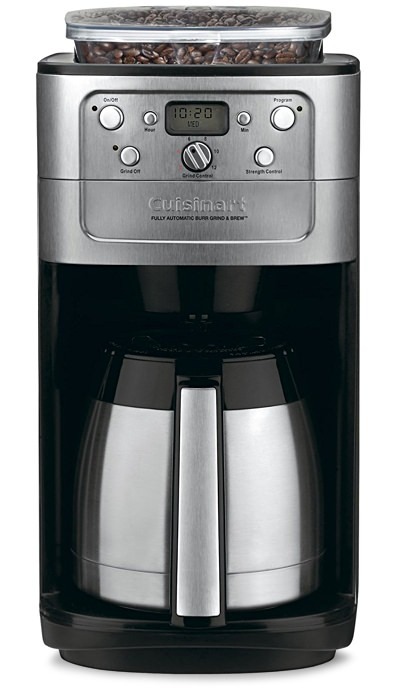 The double-wall insulated stainless steel thermal carafe keeps your coffee hot without a heating element, which can overheat and turn coffee bitter. America: The Cookbook ($34.96), takes you on a culinary trip through the 50 states to celebrate the diversity of American cuisine with 800 easy to follow recipes. American companies are reinventing the classic cast iron pan, making them better than ever before. A crazy simple kitchen hack to results in a steakhouse quality meal overtime.